That’s right fellas, there’s no need to wait any more. 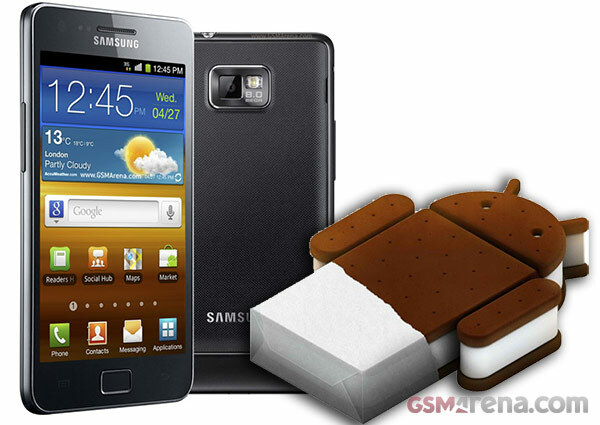 You can have an Android Ice Cream Sandwich firmware up and running on you Samsung Galaxy S II right now, thanks to the skillful developers behind the MIUI ROM. The great news is this thing is blazing fast. The first benchmarks indicate that the performance has doubled compared to what the stock Galaxy S II has to offer. The Quadrant score is over 5,000, compared to 3,500 before the update (higher is better here). Of course, you should also note that the Galaxy S II in question also got its CPU overclocked to 1.6GHz, but that should only account for a 30% improvement on SunSpider and even less on Quadrant, where the GPU also comes into play. The bad news is that the MIUI ROM comes with heavy UI customization and it won’t let you enjoy the ICS UI novelties, but that’s not necessarily a bad news. If you want to try it, you should follow the source link to the XDA forum thread where you can find instructions on how to get it. It’s not without risk though, so only proceed at your own peril.